around helping your family make the decision to move to and assisted living community. Readers have sent more than 100 questions and suggestions to Debra Drelich, a specialist in geriatric care, about assisted living and other special living arrangements for aging relatives. Part 1 of her answers can be read here. Debra Drelich, an expert on elder care. 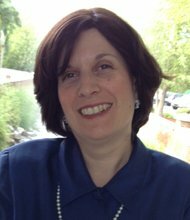 Ms. Drelich, a social worker licensed in New York State with more than 25 years of experience in the field, is the founder of New York Elder Care Consultants. She is an active member of the National Association of Professional Geriatric Care Managers and is a former president of the Greater New York Chapter of Professional Geriatric Care Managers, where she is currently chairwoman of education. She has worked for the Hebrew Home at Riverdale and Dorot, a volunteer agency, and has been in private practice as a geriatric care manager for many years. Ms. Drelich received her master’s degree from Hunter College. Some questions below have been edited for length. We will post a final round of answers from Ms. Drelich next week. Q. What does a daughter do if her very aged mother does not want to have the “conversation” that is strongly and repeatedly mentioned by experts to have before a crisis occurs? My mother has always shied away from, or been hurt by, the “What are our plans?” conversations. I am puzzled. — Susan, Conn.
A. I am sorry to say that this is a common quandary. There are some elders who will never agree to have “the conversation” until a major medical catastrophe occurs. Subsequently, the realm of choices will become limited. Enlist the help of people your mother trusts or listens to (perhaps a physician, a clergyman or all the children as a group) to reassure her that having the conversation at this point does not mean that changes are happening immediately or ever. In fact, emphasize that this is for you, the children, for the potential future planning, should change be needed, as way of ensuring that the person’s wishes are carried out. Sometimes this “tactic” works. Remember, no one wants to give up her or his independence; many will fight tooth and nail to protect it — even if it means personal discomfort. A. D in Texas, first try introducing some help at home in a way that may seem less drastic than relocation against her will. Introduce the helper as someone who is there to help you, as it is becoming overwhelming for you to be there as much as you feel you should be. This drawing back to the original parent-child relationship, of her helping you, may be less devastating than acknowledging that she needs help. Good luck. Q. With my husband still alive, and both of us in the early 70s, I am wondering when we should consider this ourselves. What are the indications that it’s time to exchange our lifelong independence for a situation that offers some support? — Mary, Mass. A. Plan ahead as much as you can. As a reader, Jan Bone, wrote in response to Mary, it’s far easier to explore what each of you want to do and what options you have now, before the urgency hits. Some people live out their lives in their own homes, perhaps hiring some caregiver support. If you decide you want to stay at home as long as possible, some minor renovations can make a world of difference for an older person whose needs are changing. 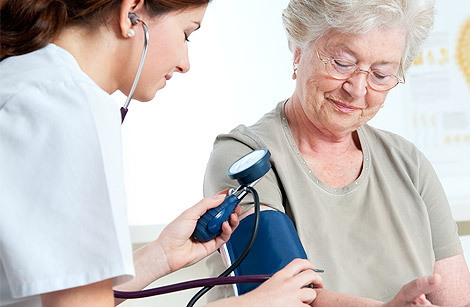 Durable medical equipment like commodes, shower chairs/benches, grab bars and shower sprayers, are paid partly by Medicare; the rest are relatively minor in terms of expense. Even an electric stair lift can convert a difficult home to navigate into a safe accessible place. However, it is important to allow professionals to evaluate the home for equipment if at all possible. Mary, some questions to consider when deciding if it is time to relocate relate to your overall quality of life. Are you still able to get outside to enjoy activities you have always enjoyed? Is maintaining your home becoming more difficult? Have your neighbors moved away? Is there shopping nearby if you can no longer drive? Has your neighborhood remained safe enough for you to go outdoors alone? You should also consider the possible benefits of an assisted living facility, some of which have activities and programs that might be more enjoyable while you are still active. In researching assisted living facilities, remember, buyer beware. Read all the fine print, and check with your state’s local better business bureau, the local department of health, as well as by asking around in your community to see if any information is available on complaints. Try to ascertain how the residents who live there feel about it. 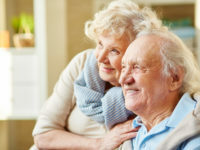 Continued care retirement communities are a good option for many, though many of these do require a huge move-in fee (even a few hundred thousand dollars) which is usually fully or partially refunded to either the person or heirs if the person moves out or passes away. A. If only there were an alert that could notify us as our aged relatives are crossing the line into the danger zone! I once heard a prominent geriatrician explain that dementia is like the rain — rain may be in the forecast, but it is unlikely that the storm will hit exactly when it is expected. Therefore, just as you would want to pack an umbrella in your pocketbook “just in case,” it is important that safety measures have been put in place before the “storm” begins. If your primary concern is her compliance with taking her medications, but you don’t believe she needs a paid caregiver yet, as an intermediate step perhaps someone in the family can presort her medications into a medication box that lists the days and times. Or her medications could be placed in a special order blister pack from a pharmacy, or you could get her an electronic pill dispenser, which either family or a visiting nurse can pre-pour. This combined with Meals on Wheels could keep her safely at home. However, keep a close eye for changes and other needs. This plan may quickly need updating.